Since the autumn of 2017, La Poste has been storing and preparing Adidas Glitch orders. 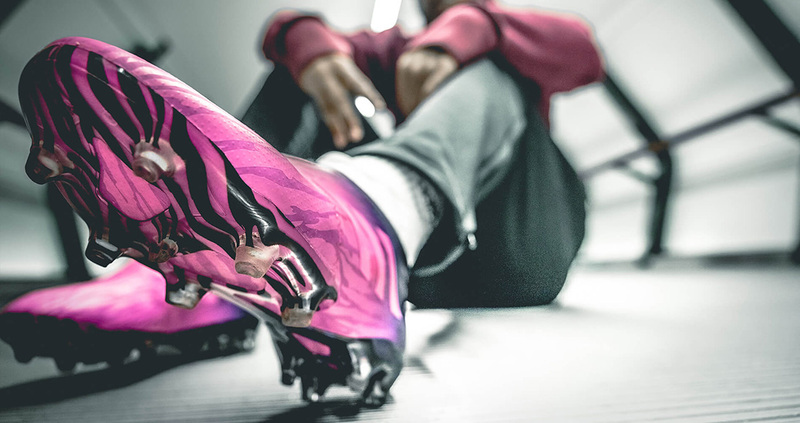 These customisable football boots can only be ordered through a special mobile application, which requires well-oiled logistics. Glitch items can only be purchased via an application, and only with a unique code. The logistics mechanism is unprecedented. The business development team of the Services-Mail-Parcels business unit was able to respond to the German sports equipment supplier's call for tender with a stand-out solution that combined innovation, efficiency, and a unique customer experience. In practical terms, this solution means setting up a custom logistics structure, and ultra-precise processes to ensure delivery within four hours by courier within Paris and 22 nearby towns ; delivery within six hours in the departments of Hauts-de-Seine, Seine-Saint-Denis and Seine-et-Marne ; and next-day delivery for the rest of the country. “We stepped up and went into test & learn mode after calling on Poste Immo to take stock of all the available spaces in Paris that could be used for this kind of service”, explained Julien Paillard, an innovation project manager on the business development team within the Services-Mail-Parcels business unit, in an article published in Supply Chain Magazine. In the end, 380 m2 in inner Paris were set up to accommodate some 468 Glitch models (five inner shoes and 34 outer skins, all available in 12 sizes)! “This system has enabled us to verify that our approach is appropriate for the urban logistics challenges involved, and at the same time to operationally test changes in the way we work for fast delivery”, added Alexandre Berger, Supply Chain Projects Director. For the past two years, Adidas has been employing an ambitious strategy to double its sales by 2020. For the Glitch, Adidas’s new customisable football boot, the German sports equipment supplier chose an unprecedented sales channel: purchases can only be made through a special mobile application by entering a unique code that can itself only be obtained from another person. First, around 30 influencers (Youtubers, specialist media, etc.) received 10 codes to share. From then on, each purchaser has been given codes to distribute in turn, so that “every consumer becomes an Adidas salesperson and ambassador to his or her friends”, explains the brand with three stripes. This “viral” and mobile-only sales system is serving as a test laboratory for Adidas, whose strategy involves focusing its resources on six “key cities” around the world. The objective: reduce the time between purchase and delivery. Prior to the French launch on 17 October 2017, the Glitch was launched in London and Berlin, each time in collaboration with a local celebrity. In Paris, this was PSG footballer Presnel Kimpembe, an ambassador who, along with the rest of the French team, was crowned world champion this summer.